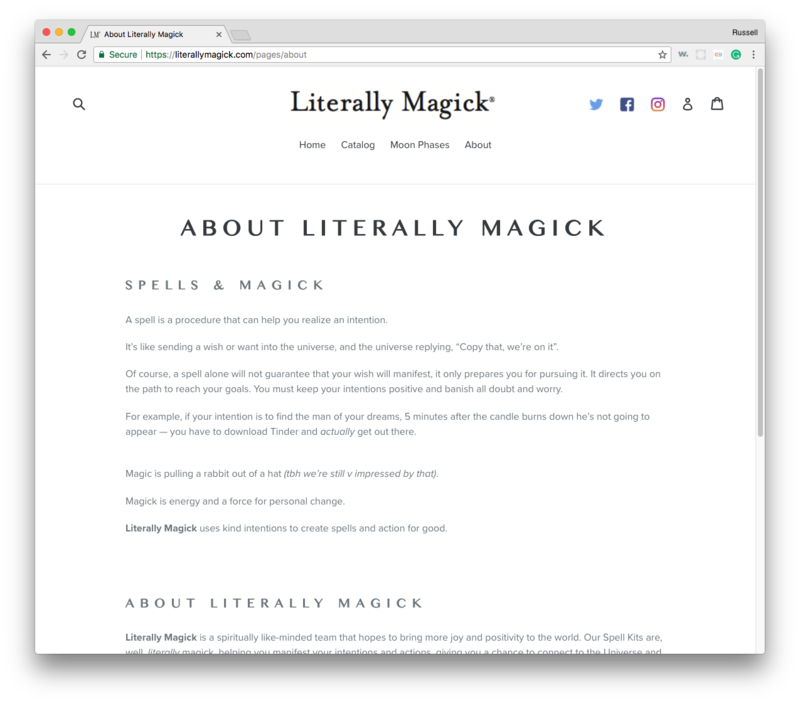 Magic, spirituality, intention setting, and wish fulfillment are important part of the modern American diet. 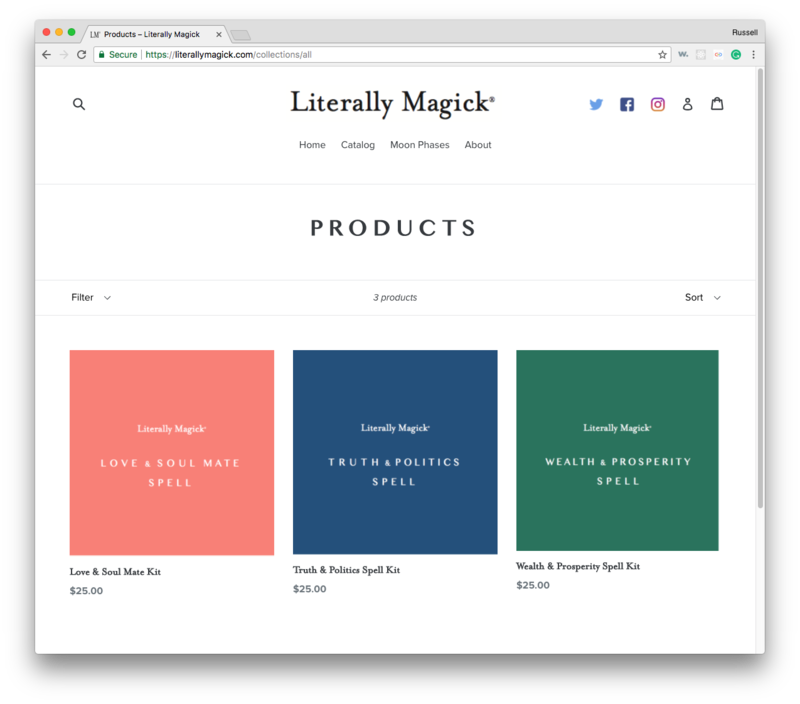 This site is designed to provide the tools for modern rituals with a responsive, clean User Interface (UI) and simple checkout. We use the Shopify platform to reduce our need to build out a fulfillment back end while retaining control over templating and the front end. 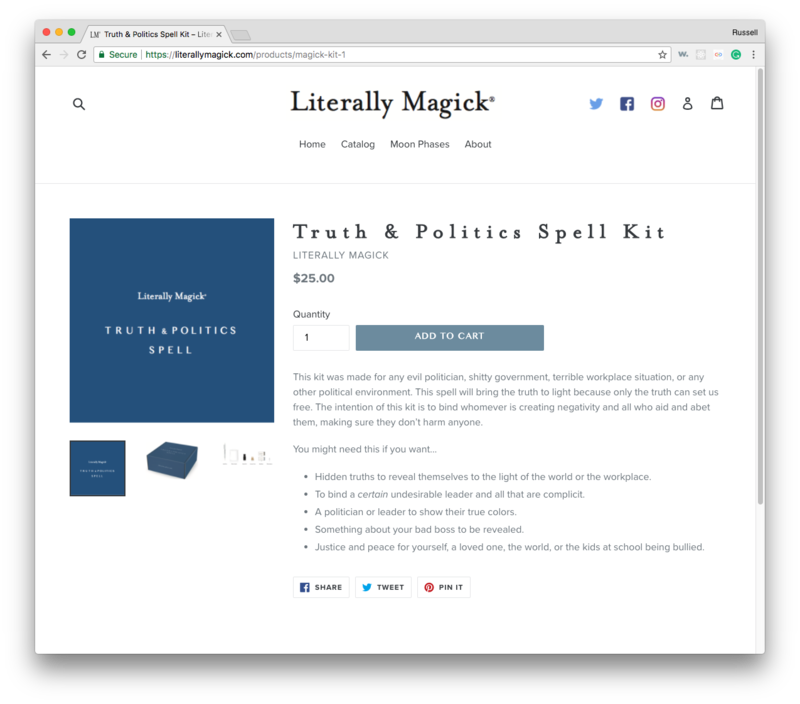 This site was designed to be clean and minimalist to reflect the gorgeous streamlined product packaging for the magick spell kits.